The ultimate goal of the LAMNS Research Support Group (RSG) is to increase the amount and quality of library, archives and museum research in Nova Scotia. This is a “Work in Progress” group, where members can learn about research, communicate research projects to each other, pose questions to the group, practice presentations, and create constructive feedback – drawing on the strengths of the group to raise the level of research for all. Read more about the RSG in the 2016 International Information and Library Review Journal column entitled “Work in Progress: The Libraries Nova Scotia Research Support Group”. To subscribe or unsubscribe to the email list, send an email to SYSPL@novascotia.ca asking to join or leave the LAMNS Research Support Group. The General Activities Fund provides grants for projects or activities which will further the aims and objectives of APLA. Applications will be considered based on the availability of funds. Applications should be submitted (email preferred) by September 15 of each year. Applications may be considered at any time pending available funds. The Carroll Preston Baber Research Grant is given annually to one or more librarians or library educators who will conduct innovative research that could lead to an improvement in services to any specified group(s) of people. 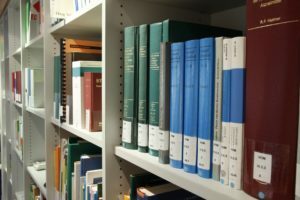 The project should aim to answer a question that is of vital importance to the library community and the researchers should plan to provide documentation of the results of their work. The Jury would welcome proposals that involve innovative uses of technology and proposals that involve cooperation between libraries, between libraries and other agencies, or between librarians and persons in other disciplines. to promote research in the field of academic librarianship that is evidence-based and applicable to the Region. An award of $500 to recognize a recent innovative practice or service may also be awarded to a CAUL-CBUA librarian or team of librarians. The Helen Creighton Folklore Society invites applications for Grants-in-Aid to scholars, researchers, museums, and archives for projects relating to folklore research, collection, and publication. Priority will be given to research that has relevance to the Atlantic Canada Region. These grants are intended to provide encouragement, though not sole support, for research or publication projects. Priority will be given to innovative projects by students and/or independent researchers or institutions that may not have access to other sources of funding. Grants are normally up to $750, with the possibility of renewal in subsequent years. The Nova Scotia Museum Research Grant Program, administered by the museum’s board of governors, annually contributes funding toward research projects that improve Nova Scotians’ understanding of heritage or offer a different interpretation of our province’s cultural history. Results from the research can generate artifacts and specimens for the provincial collections. Share your ideas on enhancing Library and Archives Canada’s published collection with new media / Partagez vos idées sur l’enrichissement de la collection publiée de Bibliothèque et Archives Canada avec les nouveaux médias! GLAM Summit 2019 – Mark Your Calendars! Copyright © 2019 Libraries, Archives and Museums Nova Scotia (LAMNS).